You know the rest. We’ve all heard the quote use as a motivator. We’ve all failed at something, at least initially. And there’s hardly a greater feeling of accomplishment than when you finally do succeed. But, many are too impatient – at least with the most challenging of things – to actually get there. Just think: For a baseball player be considered a good hitter, he only has to get a hit three out of every ten at bats. That means seven out of ten times, he fails. Sure, it’s not quite that elementary. And yes, that makes it sound awfully depressing. But in many ways, it’s those repeated failures that make the successes so sweet. 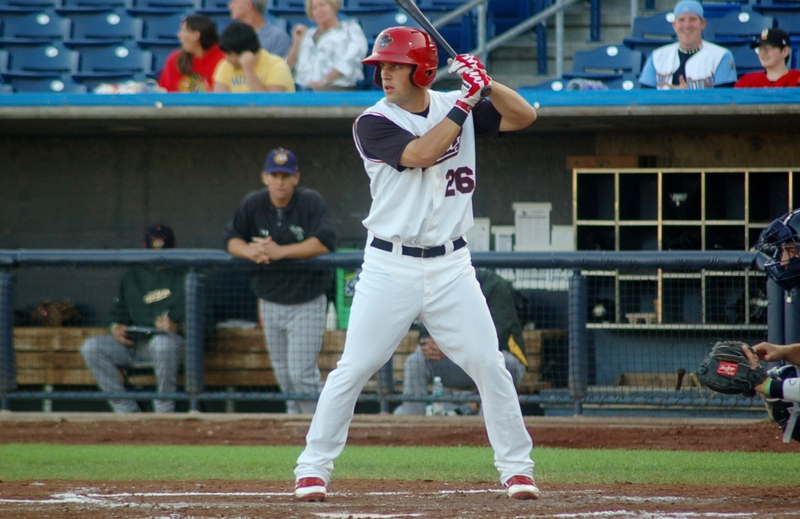 River Bandits outfielder Nick Martini is no stranger to the idea – or the successes. Having a father who played collegiate golf, he learned all about the mental side of sports at an early age. The battles are the same, from golf to baseball. A baseball player from age six on, Martini learned to love the game and the potential it held. After years of both football and basketball in addition to America’s pastime, baseball started to take over. It wasn’t long before the Prairie Ridge High School star was fielding more than baseballs on his way to three All-State team selections and a 2008 state championship. “Getting [scholarship] offers was obviously really cool,” Martini said. After sorting through the offers and visiting the schools recruiting his talents, Martini was off to Kansas State University. While some might be intimidated by the challenges of the college game, Martini quickly felt right at home. He played pretty well, too. As if a .360 batting average over three seasons wasn’t enough proof, a Big 12 conference Most Valuable Player nod as a sophomore should be. But, like most everything in baseball, just when you get comfortable, something changes. This time, it was a change that Martini had dreamed of. 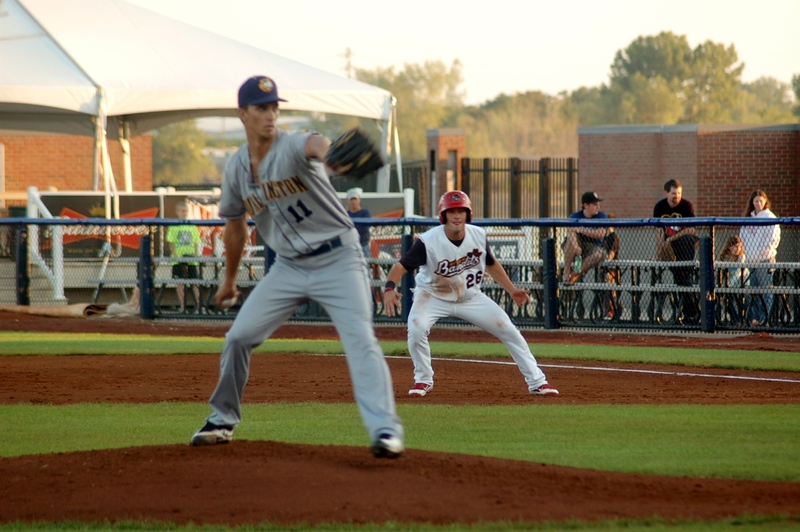 The St. Louis Cardinals drafted the Kansas State outfielder in the seventh round of the 2011 amateur draft. And with the new challenges professional ball brought with it, it was time to get back to work, this time, learning to play every day. That’s the “try, try again” part of the quote. And after short season play last year at Batavia, Martini’s work is beginning to pay off. In 117 games, Martini has notched 111 hits (20 doubles, 2 triples, and 2 homers) with 46 RBI and 74 runs scored. He also leads the team in walks. Some of last year’s experience — and added patience — coming into play by chance? That’s at least half the battle. But it’s not all work and no play. Coming to to play for a bigger fan base has it’s advantages, too. And then, of course, there’s Twitter. It’s a topic that can’t be discussed without smiles. It’s a tool that this team takes full advantage of — both for themselves, and the fans. Twitter is fun, and baseball is fun. Sure, there’s a time for work, especially at the end of a long season. It may be a game full of failure. But in the end, the successes are oh-so-sweet.